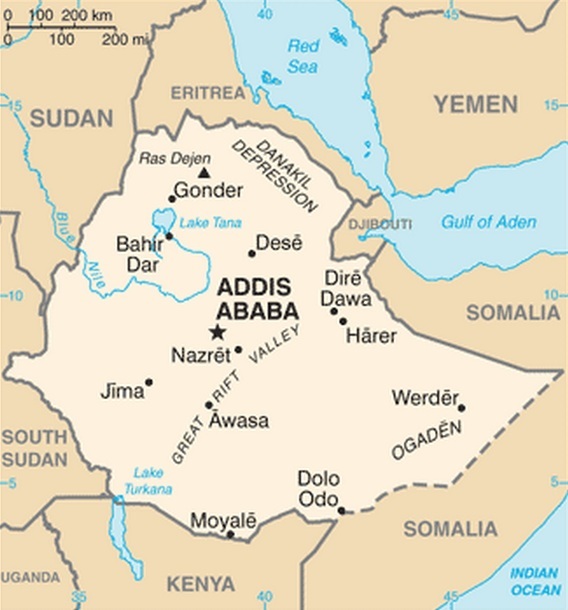 Ethiopia plans to sell its first dollar bond as Africa’s fastest-growing economy exploits record demand for the continent’s debt. Ethiopia picked Deutsche Bank AG and JPMorgan Chase & Co. for fixed-income investor meetings in Europe and the U.S. beginning tomorrow, according to a person familiar with the matter, who asked not to be identified as the information is private. The proceeds of the sale will be used to fund electricity, railway and sugar-industry projects, Finance Minister Sufian Ahmed said Oct. 8. The Horn of Africa nation is joining issuers, including Ghana, Kenya, Senegal and Ivory Coast, who sold what Standard Bank Group Ltd. says is a record $15 billion of Eurobonds this year. Government and corporate issuers are seeking to benefit from investor appetite for higher returns before the Federal Reserve raises interest rates as soon as next year. African government and corporate Eurobonds sales this year beat 2013’s record $14 billion, Standard Bank said on Nov. 13. Sovereigns accounted for about 71 percent of issuance, according to the Johannesburg-based lender. 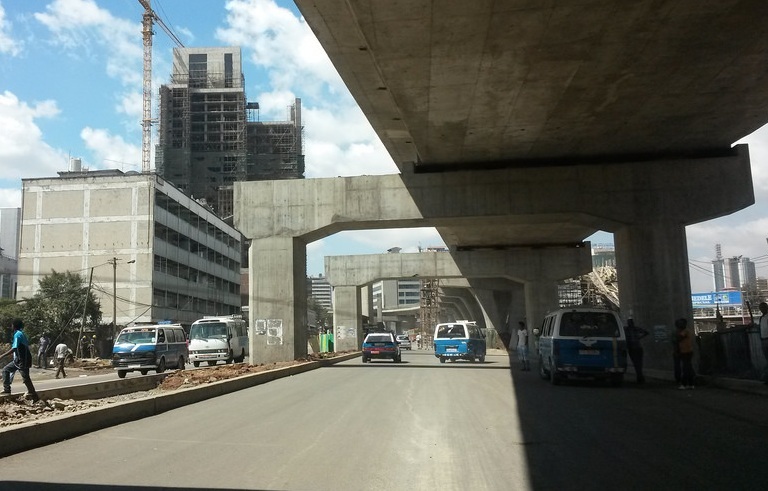 ADDIS ABABA- Out of the dust and rubble of decimated junctions, soaring slabs of concrete are returning a semblance of order to the centre of Addis Ababa, Ethiopia’s mushrooming capital. 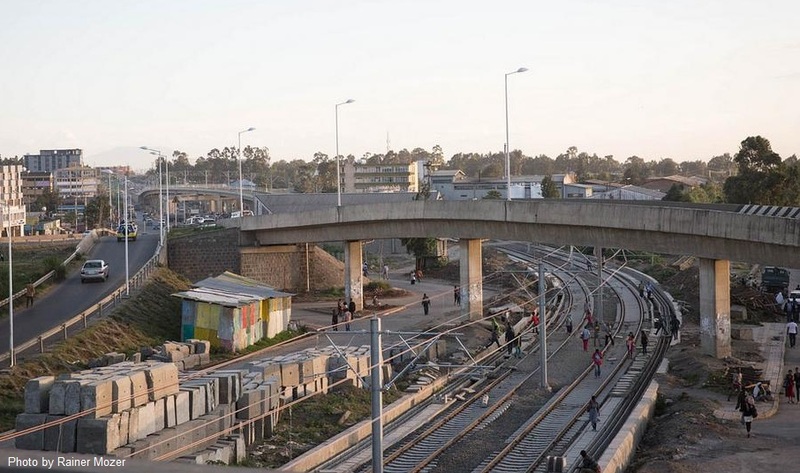 The edifices are there to prop up Africa’s first light rail system, an arresting sign of Ethiopia’s progress since the dark days of famine and military rule (pdf) in the 1980s. The government hopes the project, funded and built by China, will be running next year – possibly in time to transport voters to polling booths at national elections in May. The $475m (£295m) electrified rail is one of many projects in an ambitious five-year growth and transformation plan that ends in July. Although there will be shortfalls in the Soviet-style strategy based more on aspiration than expectation, the rail is set to be an impressive achievement by a nation desperate to shed its tag as a poster child of poverty. Potential commuter Wondimagegn Daniel isn’t too sure where the train goes, where it stops or how much it will cost, but he’s also excited about it. “I have never seen this kind of thing in our county,” he says. Borrowing 85% of the funds from the Export-Import Bank of China is not ideal, but a poor country like Ethiopia has no option, the 20-year-old says. The two lines cross at Meskel Square, an iconic open space at the city’s core, used for political demonstrations and public events such as the 2012 funeral of Meles Zenawi, the leader who had masterminded Ethiopia’s development as president then prime minister since 1991. Beneath that intersection, Daniel is waiting to catch a minibus to do his job ferrying bidding documents. The rail will become a competitor for minibus operators, but those present aren’t keen to discuss its impact. “It’s not good to talk about the train, as I am afraid of the government,” says one, opting to remain anonymous. As well as pouring funds into infrastructure and promoting value-adding industries, Zenawi maintained a security-heavy state during his 21-year rule and controlled an ethnically diverse ruling coalition. The regime’s focus has been on promoting citizens’ collective responsibilities to contribute to development rather than protecting individual rights. People are wary of speaking out, and outspoken activists from the media, civil society or opposition can easily find themselves on the wrong side of the law. 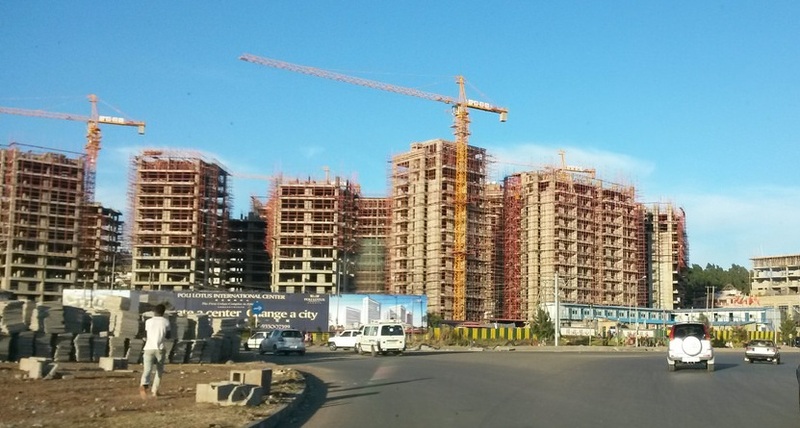 Much of recent annual growth of up to 10% is credited to infrastructure spending, often using credit from Asian partners such as India and China. Long-term donors including the US and World Bank focus their efforts on more prosaic tasks like supporting the poorest people, funding local governments and improving access to water, health and education. The crown jewel of the government’s programme is a £2.5bn hydroelectric plant on the Blue Nile river, which it hopes will power industrialisation and turn Ethiopian into a regional electricity hub. The scheme is largely self-funded and promoted as the symbol of an emerging nation no longer reliant on outsiders. If that’s the future, Assefa Tessema is Ethiopia’s past – or that’s how he sees it. He has lived with his wife in a two-room government-owned shack for 47 years that’s now next to the railway. They survive on his pension of £10.55 a month from 27 years as an army doctor. Tessema, who is in his 70s, is sitting outside his home holding scissors to snip at his hair – it’s too expensive these days for the barber to come round. Soaring inflation makes him long for communist-era price fixing of the 70s and 80s. 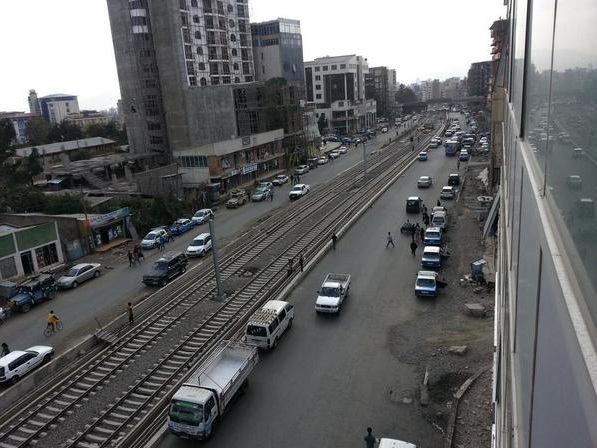 The one thing Assefa is looking forward to is the government relocating him to an apartment when the trains start running. As for the railway, “for the next generation it will be nice”, he says. 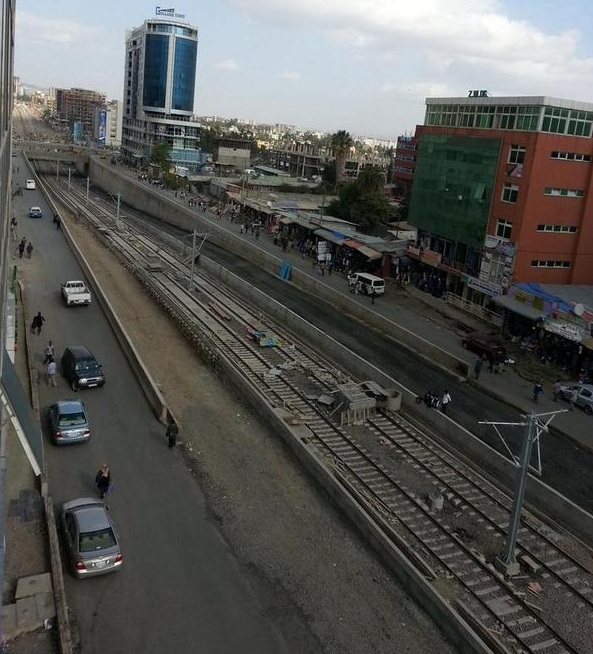 The laying of tracks beside his house is overseen by the state-owned Ethiopian Railways Corporation, which is building a nationwide network connecting landlocked Ethiopia to the rest of the Horn of Africa, with help from China, Turkey and, the country hopes, Brazil, Russia and India. While praising Ethiopia’s growth, the International Monetary Fund has expressed concern at rising debt and a stifled private sector. Public enterprises managing multibillion dollar projects are weak at financial reporting, adding uncertainty to the strategy, it says. Officials argue private companies benefit as contractors and suppliers for the projects. 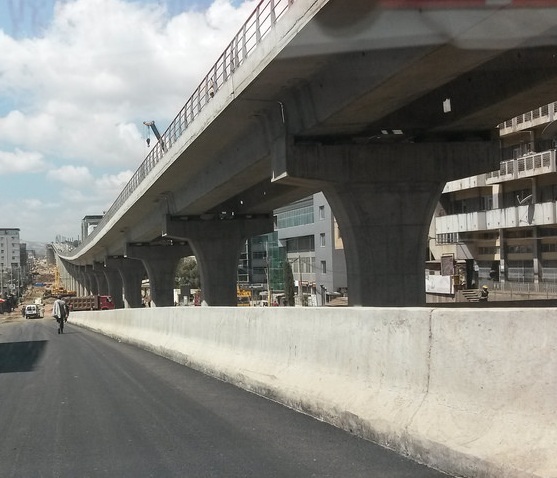 Schemes like the light rail provide 2.7m jobs in a country short of them, President Mulatu Teshome recently said. One of those labouring on the railway is happy enough with his Chinese managers, but says his fee of 50 birr (£1.50) a day is insufficient and that “there’s no safety” – recently four workers died when a hole they were digging collapsed, he says. Disgruntled drivers also complain about a lack of junctions, while observers speculate about an apparent absence of stations and pedestrian crossings. Project manager Behailu says a multi-agency steering committee is working out such issues. 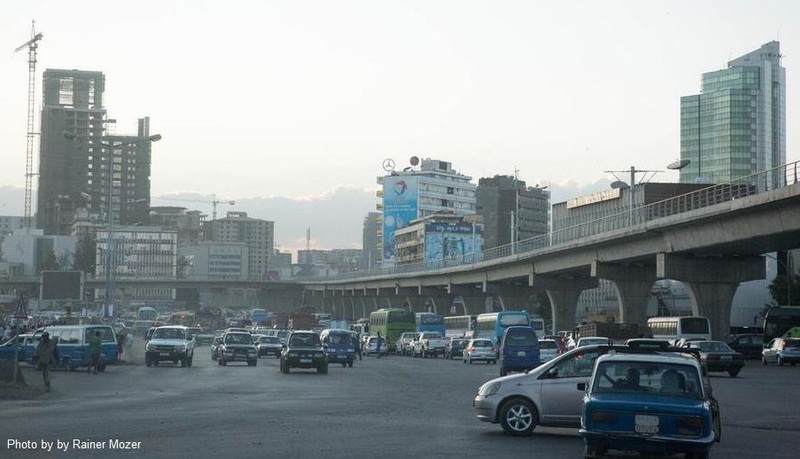 In reality, there will be many more growing pains for Addis Ababa as radical efforts continue to remake a 125-year-old city of over 5 million people. Local government worker Mahlet Tesfaye is another whose tiny home will be demolished for the project. Yet she’s more interested in its impact on the nation’s image.